Welcome to my website. New information is being added regularly! A selection of products that benefit your mind, body and soul. WHAT is the PATH of TANTRA & SACRED SEXUALITY? Awaken/reawaken the sense of your completed, loving, sensual self and share that Divine self with another. Lorae is a natural teacher whose caring presence will guide you on a journey that integrates ancient Eastern esoteric practices with discoveries in Western medicine & science. 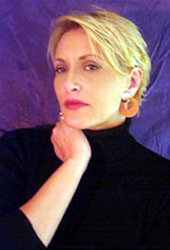 Lorae has developed a unique approach to healing and empowerment. She knows her subject intimately and listens mindfully and thoughtfully to each individual. In a session one will be able to stretch boundaries safely and gently. Discover from experience what bliss is. Cultivate vital life force (Prana or Chi) that becomes the fuel to live a fuller life. Can you choose this for your Divine self? Are you ready? May you realize that holiness is mindful gazing, mindful feeling, mindful listening and mindful touching. "Anam Cara: a book of Celtic Wisdom," by John O'Donohue.